Broach Bilt Manufacturing, Inc. in McKinney, Texas, offers custom circuit board assembly using only the best materials. We also provide x-ray inspection and other services that speed up processes and improve effectiveness. Broach Bilt Manufacturing, Inc. has a secure stockroom and totally integrated operating system that includes a materials requirement planning system. Other features include sales order entry, work scheduling, shop travelers, shipping information, and forecasting. This helps us deliver the turnkey service solution for circuit board assembly. In this area of our business, we facilitate stocking, kitting, and component preparation. Every component that's stocked here is identified with a BBM, Inc. intelligent part number. 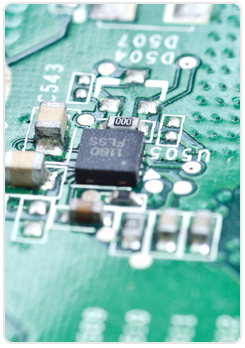 There are three basic elements to manufacturing: surface mount, through-hole, and value-added. The nature of these systems is progressive. Broach Bilt Manufacturing, Inc. has two complete lines in these areas. With THT, a progressive slide line moves into a microprocessor-controlled dual wave solder machine. Our concept of a through-hole insertion moves assemblers instead of assemblies. This method is 25% faster than the traditional methods, and it's virtually defect-free. This small part of our business diverts from the automation and progressive nature of the BBM, Inc. method of assembly. Hand soldering, labeling, conformal coating, and mechanical assembly are all part of the value-added program. We functionally test 85% of all of the products we make post-manufacturing and prior to shipment. In-house testing allows us to troubleshoot any problems, which helps us guarantee the high standards of our products. In today's high-yield marketplace, automated circuit board assembly inspections are a requirement. Our systems are networked and online, so you can immediately download images and results. 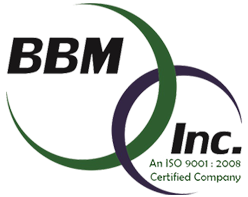 Understanding and seeing our systems allows you to fully appreciate the BBM, Inc. advantage. The Phoenix PCBA Inspector is the top inspection system for circuit board assembly. Our system has the capability of 360-degree rotation and a programmable production table to make the best use of x-ray time and effectiveness.